It’s hard to find a child these days who doesn’t love video games, but for many kids on the autism spectrum, digital play has an especially strong draw. Children affected by autism appear to be particularly attracted to video games because of the visual nature of screen-based technology, the structure, and immediate feedback gaming provides. Video game play also helps kids on the spectrum practice flexible thinking, become more comfortable making mistakes, recognize the importance of practice in order to improve skills, and share an interest with their peers. Video game-based technology is a powerful tool for teaching children with autism language and communication skills, cognitive flexibility, and social skills. Many studies demonstrate the ways that video games and technology engage kids – particularly kids on the spectrum – by improving sustained attention and persistence during the learning process. As a result, many parents and educators have begun to use apps and games made specifically for kids with autism to teach social, communication, and life skills. Transferring game-based learning into real world skills like self-control, cognitive flexibility, and sustained attention requires some form of mediation. Parents and educators need to help kids connect what they are doing in the game to the tools they need for daily activities. 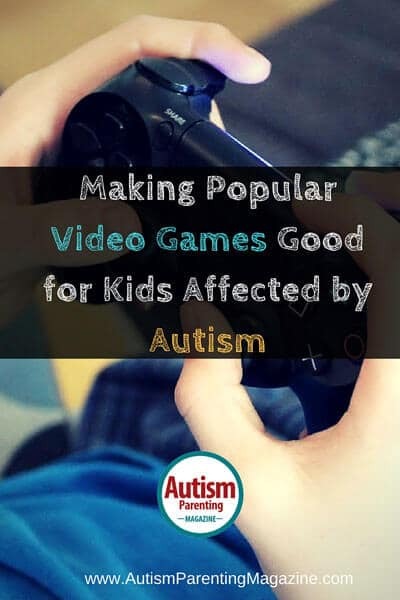 Many higher functioning kids with autism (Level 1 Autism Spectrum Disorder) may not be interested in some of the games and apps made explicitly for kids on the spectrum, preferring to play popular games and apps instead. But even playing mainstream games and series like Minecraft, Pokemon, Legend of Zelda, and Mario Bros. offer opportunities for fun and learning that also give kids a shared interest to talk about with others. With all this being said, there are studies that suggest that children on the autism spectrum can become overly engaged in video game play and display problematic behaviors, such as inattention and obsession. These studies indicate that certain types of games — role-playing games in particular — can be especially difficult for children affected by autism to disengage from. 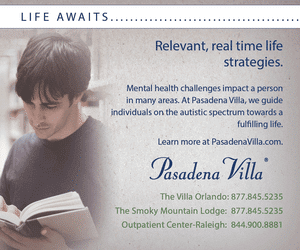 Parents of kids with autism are well aware of these behaviors. Although a special interest in video game play, which allows a child to communicate with their peers and share experiences, is likely to have more benefits than negative consequences, these considerations mean that parents of children affected by autism need to be alert and attentive to excessive video gameplay. Finding the best video games and apps for children affected by autism can be problematic. As noted earlier, popular games and apps are generally suggested for children with Level 1 Autism Spectrum Disorders. Not only are higher functioning ASD children capable of understanding and mastering these games, they provide a fertile ground for communicating with peers and practicing social skills by playing online games with others. Developing his/her own expertise can become a source of pride for a child on the spectrum. And while these games are popular and involve significant levels of strategic thinking, their complexity and elevated character development can contribute to a child’s obsession with the game. 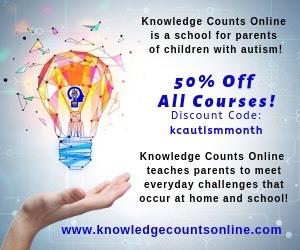 In order to help a child affected by autism get the most from their game play, parents, educators, and child care professionals are strongly encouraged to involve themselves with their children and students. If you don’t want to actually play the game, at least sit down and observe the child while they are playing. Learn to ask questions about what they’re doing and help them answer in a way that considers your lack of understanding of the game. You might also encourage them to work on a specific task in the game that showcases their effort and achievement. Helping the child turn game-based learning into real-world learning can be particularly important for children affected by autism. By definition, these children struggle with generalization and a reduced capacity to transfer a skill used in one setting to another setting. One way to help a child who loves Minecraft practice these skills is to encourage them to go beyond playing Minecraft and learn to build with LEGOs, design and build a backyard fort, or even learn about the geology and geography that is omnipresent while playing Minecraft. If… is a game designed to teach children about social emotional learning skills (SEL). If…encourages kids to think about what their actions communicate, imagine what they say, and consider how what they say affects other people. As children progress in the game, they learn social cues and conversational techniques to assist with empathy and compassion. Portal 2 is a simple but imaginative game in which a player uses the game’s singular tool, a portal gun, to navigate through otherwise impassable levels by placing portals of varying properties. With very few rules and little instruction, Portal 2’s open-ended gameplay actually requires high levels of cognitive flexibility. This dynamic is part of what makes Minecraft so attractive to children on the autism spectrum. 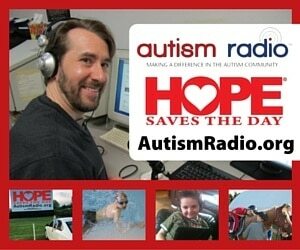 Minecraft is, of course, incredibly popular both with typically developing kids and kids affected by autism. This “sandbox” game (open-ended with no real rules or end goals) allows children to exert a lot of control over their environment. In the creative mode, Minecraft provides an opportunity to explore an unknown world and face fears without giving up safety. New Super Mario Bros. U emphasizes the need for cooperative play, tending to a task with one’s teammates, and developing common interest in achieving a goal. New Super Mario Bros. U requires that players understand the ways their actions affect other players and helps kids practice skills like communication, flexibility, and empathy. Randy Kulman, Ph.D. is the Founder and President of LearningWorks for Kids http://learningworksforkids.com/ , an educational technology company that specializes in using video games to teach executive-functioning and academic skills. For the past 25 years, Dr. Kulman has also been the Clinical Director and President of South County Child and Family Consultants, a multidisciplinary group of private practitioners that specializes in assessment and interventions for children with learning disorders and attention difficulties. Additionally, Dr. Kulman is the author of numerous essays and book chapters on the use of digital technologies for improving executive-functioning skills in children. His current research projects include the development of a parent and teacher scale for assessing executive-functioning skills in children and a large survey study examining how children with ADHD and Autism use popular video games and apps. He is an advisor and occasional writer for ADDitude Magazine, Commonsensemedia.org, Toca Boca and also writes columns for Inside ADHD and the South County Independent. He is the author of two books; Train Your Brain for Success: A Teenager’s Guide to Executive Functions and Playing Smarter in a Digital World. Wow! I learned a lot. Thanks so much. For my son to unwind and calm his anxiety, I’ve found the following games by “thatgamecompany” really work. Some are older now, but if they haven’t played them yet they do hold up very well. Fluidly control a humanoid being during their journey through a desert while discovering all sorts of locations and other beings that will trigger your imagination. Flower – Regrow the world around you with this tranquil and imaginative game. Flow – Grow your character as you seamlessly pass through underwater levels. Thanks for sharing this with us, Eric! 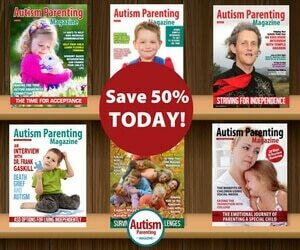 Check out our other articles here: https://www.autismparentingmagazine.com/autism-article/ Enjoy reading!